As a young scholar, I wrote a dissertation entitled “Leadership Style and Temperament.” In the dissertation, I found there was some relationship between leadership style and temperament, but the most robust variable was the age of the administrative leaders. Older administrators allowed more employee participation in decision-making. They also punished employee errors less frequently than younger administrators. I also found that university administrators used less discipline than city government administrators for employee problems. The study was done at Southern Illinois University and in Carbondale, Illinois. I thought I might go on to become a college administrator, but the lure of research and writing was too strong. I stayed a faculty member for most of my career, with a brief tenure as director of a master’s program in Public Administration at the University of Arkansas at Little Rock. But I have always had a keen interest in observing administrators, their successes and failures. The following essay notes some purely personal observations on how it should be done, from a faculty point of view. I admit that my viewpoint is somewhat biased, as faculty members try to minimize things which interfere with their teaching and scholarship. But, I hope that these comments will be taken to heart by those with administrative leanings. Protect the faculty from administrative details. To paraphrase Confucius, a good leader is one who stays in the background and the system seems to run itself. A virtuous administrator is so good with detail that he or she can minimize the work that others have to do without them realizing it. Of course, there are some faculty who enjoy the process of governance in their departments. 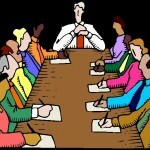 But most faculty do not desire to sit on committees to help in the administration of their departments. Rather, they long to do research, teach and find ways to advance their careers, not to mention enjoy some leisure time. So administrators who take care of business without bothering them usually are considered virtuous. Good administrators are willing to make exceptions. We are all bound by certain rules and procedures in academe. However, good administrators are not encumbered by them and they do not let the faculty become oppressed by them. Administrators should not be worried about precedent-setting because decisions can be framed with limiting language. Common sense and simplicity should prevail. In a dysfunctional setting, administrators are always protecting themselves against those higher up the chain of command. However, these governing rules can become so oppressive that the morale of faculty, staff and others can be seriously damaged. In legal language, when you enforce the letter of the law, sometimes you can work against the spirit of the law. Being a team player. One author of a book on college administration writes that good administrators are made better with certain personal experiences. It helps if they have some experience in athletics, because sports tend to build team players. Some experience in team sports teaches one to work well with others, to sacrifice personal goals for communal goals and endure pain and suffering for the sake of higher goals (I am thinking of my own football experiences). It also helps if an administrator has already accomplished personal scholarship goals. These experiences allow a leader to work instinctively for the good of everyone concerned and they are relieved of the stress of having to accomplish personal goals beyond administration. I also think the good administrator likes to continue scholarship at a modest level, simply because old habits are hard to break and faculty members appreciate such efforts as reinforcing their own goals. But, in the final analysis, an administrator should be more concerned with helping others to achieve. A moral vision and a realistic mission. Sometimes people confuse an organization’s “mission” statement with its “vision.” A vision statement describes “where we want to go,” and a mission statement describes “how we get there.” Thus the vision statement is a broader, more abstract concept. A former dean at Harvard wrote that colleges fail to teach morality and personal responsibility, because students are paying consumers who must be kept happy. Those of us who have taught at private universities can attest to that. But, the main point is that a large part of the vision of administrators and faculty should be to teach morality and personal responsibility. Without these qualities, intellect may be developed but character will remain immature, and in some cases marginally criminal. In other words, we have a social responsibility to do so. That same dean wrote that a liberal education is what remains after you have forgotten the facts you learned in class. Therefore, the mission of education should be to make more of those memorable moments. This may involve more rewards for teaching which is relevant, humorous and inspiring. Maximizing meaningful communication and minimizing conflict. The American educator and philosopher John Dewey wrote that the role of administration is to keep people in touch with each other. In other words, good administration has an important communication function. But good communication also requires that one be able to interpret information and make decisions about its dissemination. One can be technically a good administrator, who keeps faculty and administrators fully informed, but nevertheless be one that drives everyone crazy! I believe that virtually everyone in academe knows someone like that. The literature on university administration says that provosts judge deans by how well they keep problems off their desks. In a similar vein, faculty love department chairs who keep problems off their desks. These are a few suggestions from a faculty member nearing the end of his career. And they have nothing to do with leadership style and temperament.